Registrations are now open for the 2018 AWJFL footy season. If you wish to play Sunday Football in the premier junior competition in the area, please register now. Yarrawonga Junior Football Club has representatives in Under 12s, Under 14's and Under 16s. 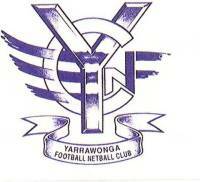 Yarrawonga Pigeons Girls Football also has 16 and under, and 17 and over teams representing the club. For any information, please contact Damian Cummins.